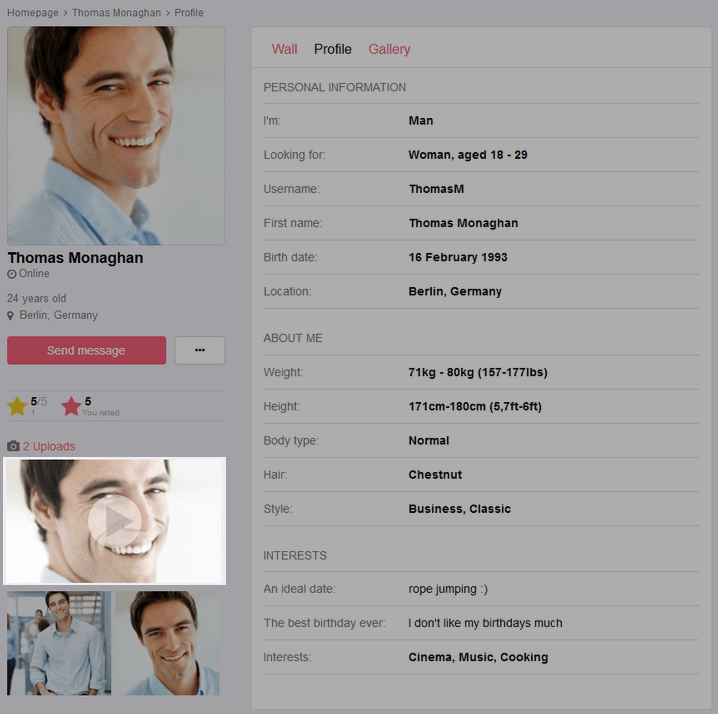 The idea behind the Video introduction feature is to let people get a glimpse of their matches in real life before going on a date. A dating site user will use a webcam or a phone camera to record short introductory videos of themselves. The videos will then appear in the gallery and in the person's profile. Videos will have to be recent in order to be accepted by the system. It will make sure that there are no surprises when the two people first meet, even if someone hasn't updated their profile pictures for ten years. You as the site administrator will be able to pre-moderate such videos or moderate them post-factum. It makes sense to limit the max duration of the introductory videos to both save on the site storage capacity and to save the time of your audience.